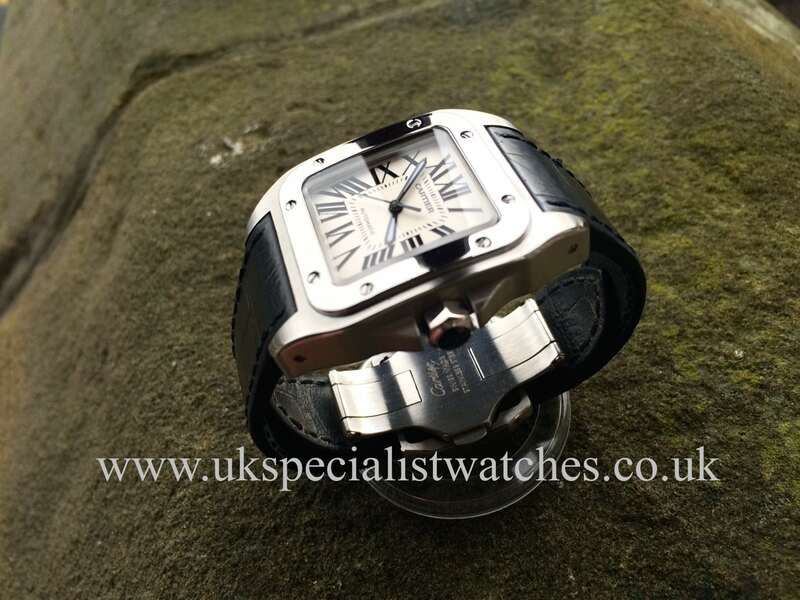 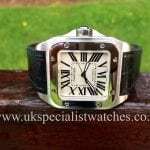 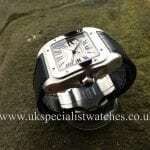 Cartier Santos 100 – 33mm x 43mm stainless steel case. 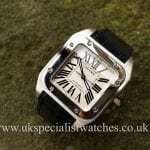 Cartier silver White dial with black roman numerals. 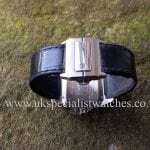 The Crown is set with a Sapphire Blue cabochon stone. 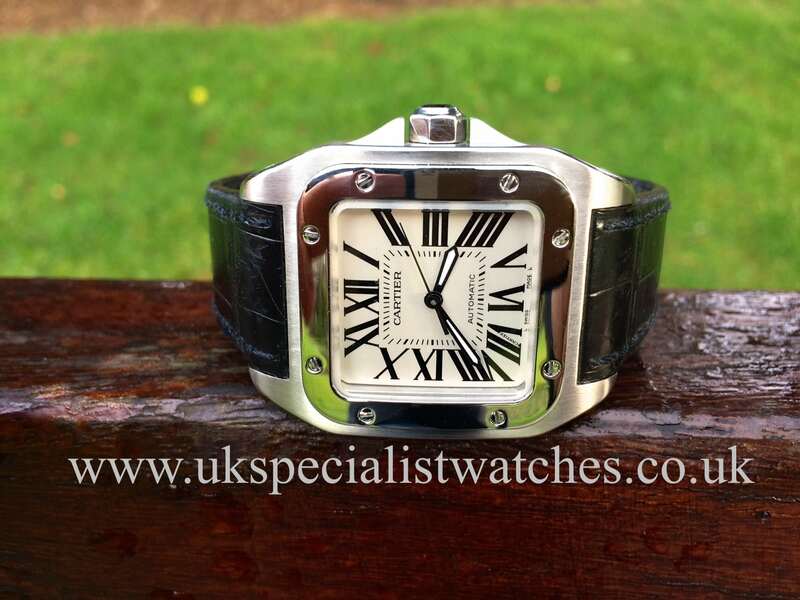 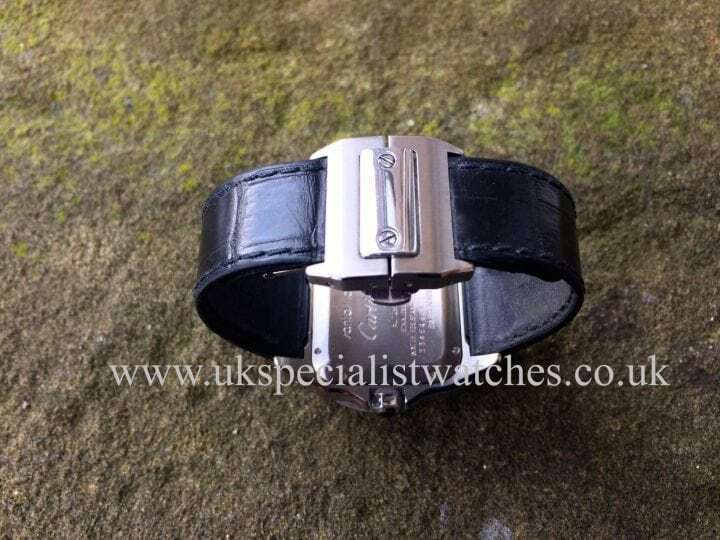 Genuine Cartier Black alligator strap with steel double deployment clasp. 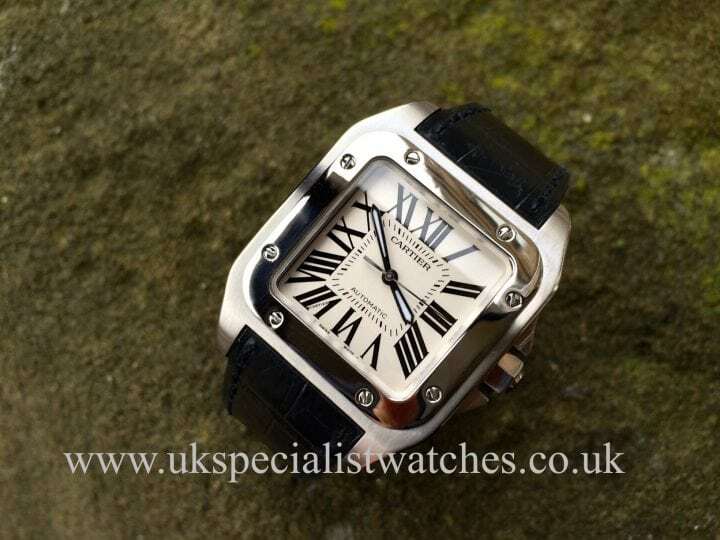 Cartier automatic movement. 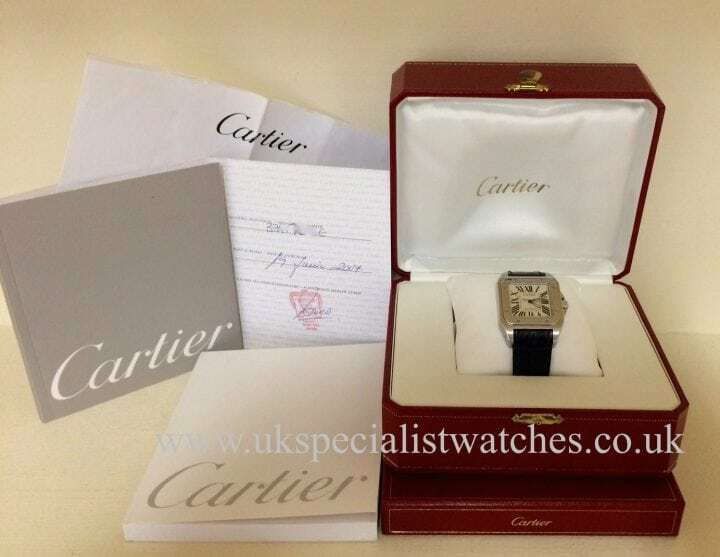 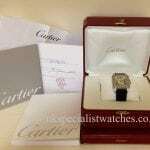 Supplied new June 2007 and comes complete with original Cartier box, instruction booklet, stamped guarantee certificate.